The 2015 calendars are the best yet. 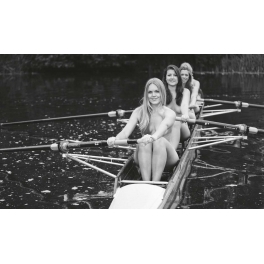 This year, the photographer has used some fantastic lighting combined with wonderful closeups of the rowers to present faces that any person will find enchanting. The women come across as beautiful, genuine, and yet have that simple, unmade rower freshness that we all experience on the water.